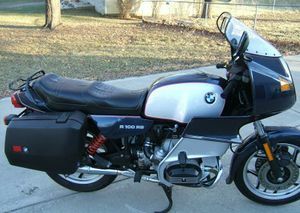 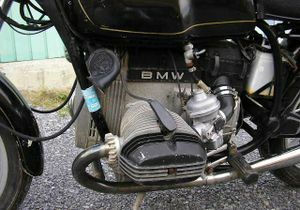 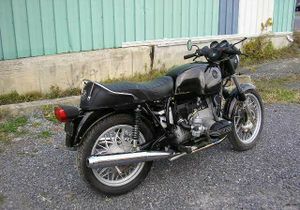 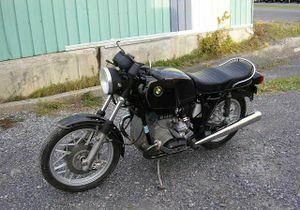 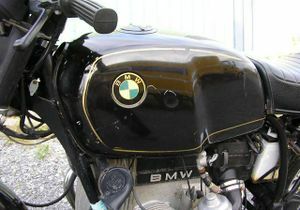 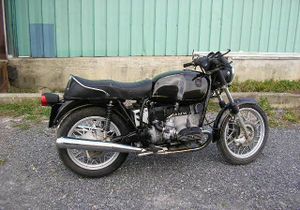 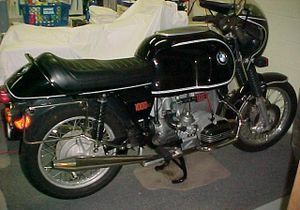 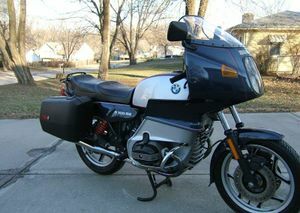 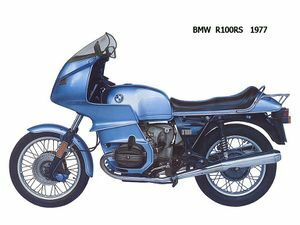 Just a few years after introducing the BMW R90/6 and BMW R90S, BMW upped the capacity of its range-topping flat-twins to 980cc for the 1977 season in the form of the '/7' series. 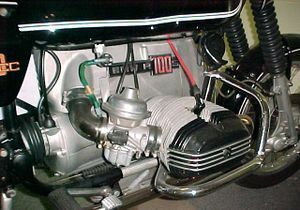 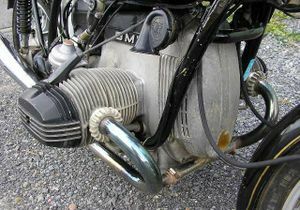 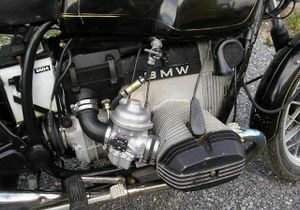 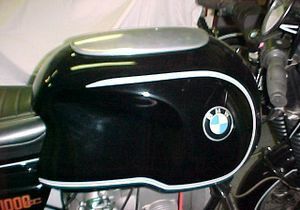 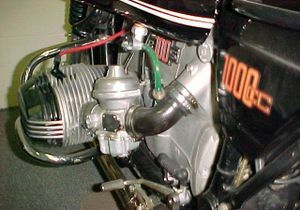 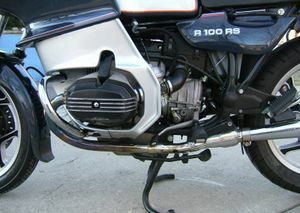 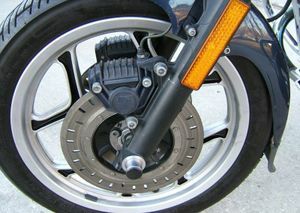 The latter comprised the R100/7 tourer, which used the 60bhp version of the new engine, while the cockpit-faired R100S sportster and the fully faired R100RS superbike came with 70bhp on tap. 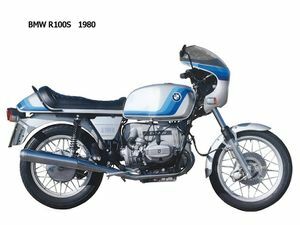 Within a couple of years the R100/7 'naked' had been re-titled BMW R100T|R100T]] and gained an extra five horsepower, while the others - together with the new R100RT super-tourer - continued to use the 70bhp engine. 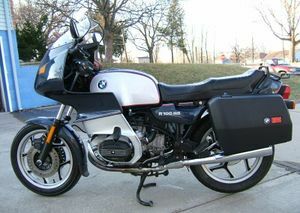 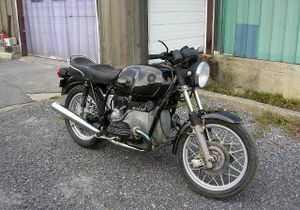 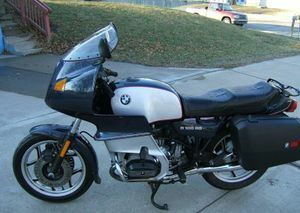 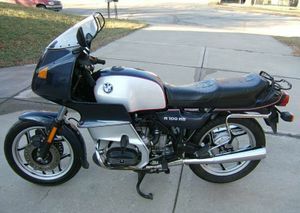 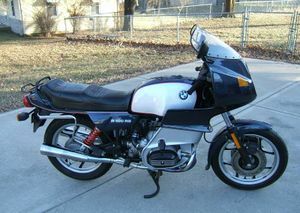 Bike pictured above has Rare Heinrich 11 gallon tank. 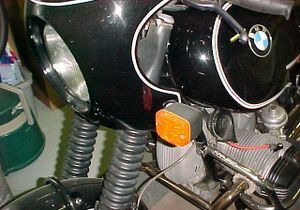 This page was last edited on 20 January 2011, at 20:33.